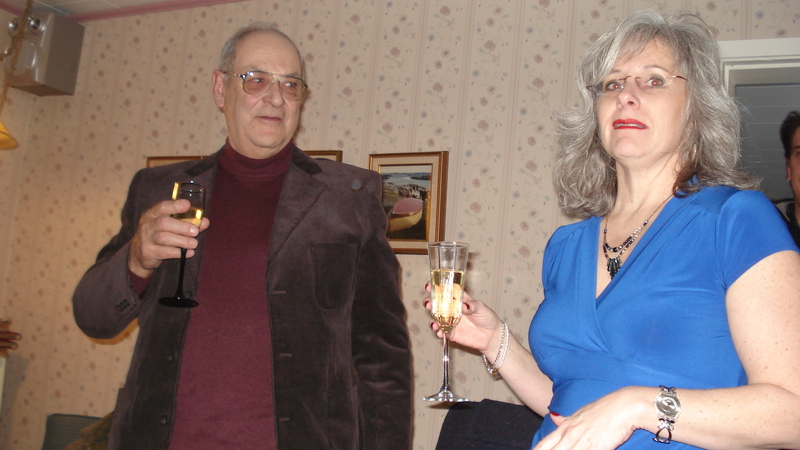 My dad, Hector Jourdain, and me during a toast at a mine celebration of my parents’ 50th Wedding Anniversary. On January 11, 2008, the day of my parents’ 50th Wedding Anniversary, I turned to my father to ask him to tell me the truth. “I’ve received emails this week from two women who seem to think I might be their sister.” I was 46 years old and never suspected I might be adopted. A long story, yes. And it began with a very simple and clear declaration I might not have heard otherwise, “It was love at first sight!” he told me. Love at first sight. I always knew that my father and I had a special connection. And I always knew that he loved me/loves me as unconditionally as it is possible to love a child, although it hasn’t always been an easy path or relationship, but showing up most significantly, most unconditionally, in the times I have been most challenged – in job loss and divorces. In the early moments following that conversation about what had been a family secret, dad was worried that my knowing would change our relationship. But, as I told him, we had a lot of history together so I didn’t see any reason it would change. And, I knew both my parents loved me and only wanted the best for me. The journey was undertaken in the spirit of openheartedness. Dad is now 82 years old. Much to my surprise, not only did he outlive my mother, he became her personal care giver before she went into long term care with dementia – the same year as their 50th wedding anniversary. She died in 2012. Dad still lives home, alone, in the house they shared for many years. 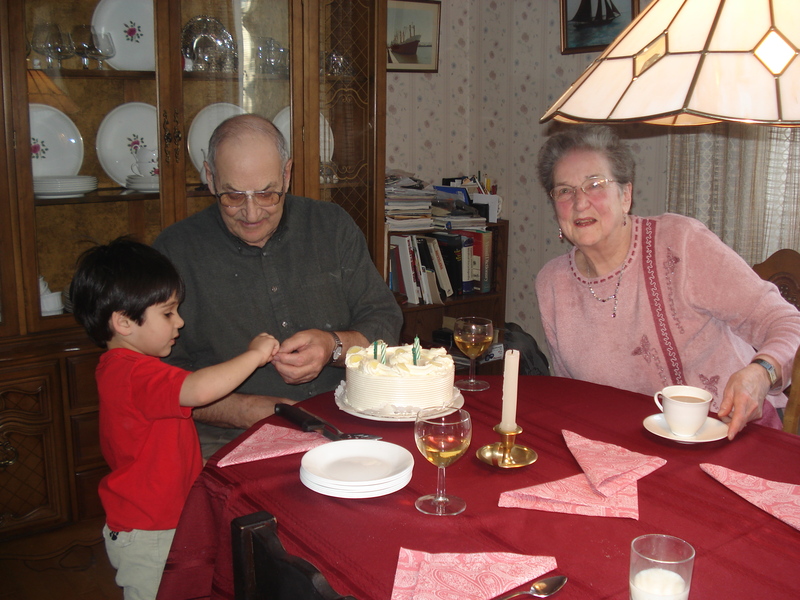 Mom and dad in 2007 for his birthday with a 4 year old Shasta helping out. 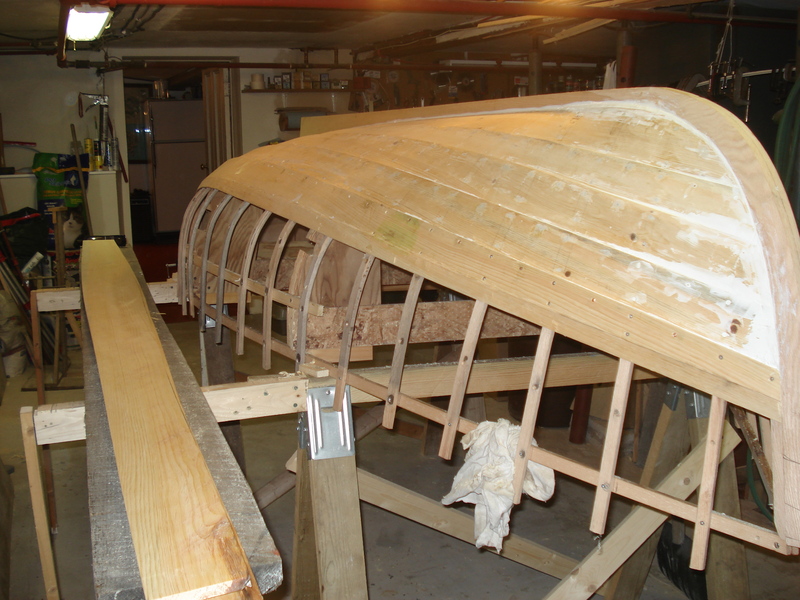 Quality workmanship – one of dad’s projects. This past winter, a hard one here in Nova Scotia, he was out with his snowblower clearing his driveway. Over the last couple of years he renovated his upstairs bathroom to put in a shower. And he built a row boat in his basement. He still has marine engines in his garage that he works on from time to time and he has a long list of projects to tend to. He complains that it takes him longer to do anything, but he has time and he has motivation. 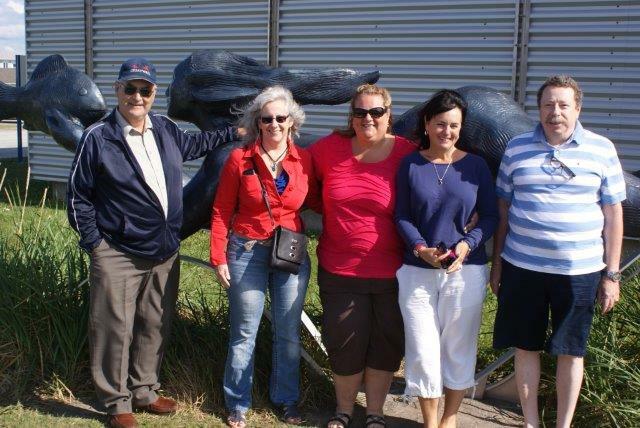 And he’s taken a few road trips to Quebec – his home province – to visit with my cousin (who graciously hosts him in her home) in the last couple of years. These things – things to look forward to, to get out of bed for – they keep him not just alive, but living. And just recently, he bought his first tablet and got internet at his home (thanks to some persuasion from my cousin Jacqueline) and this Father’s Day I will try to help him sort it all out. Wish us luck. I’m proud of my dad. I’ve learned, am learning, a lot from him. About quality workmanship. About independence. About sheer will power. About love. About just keeping on keeping on. And, I’m glad it was love at first sight or who knows where I would be today. Wow! I was adopted, too! 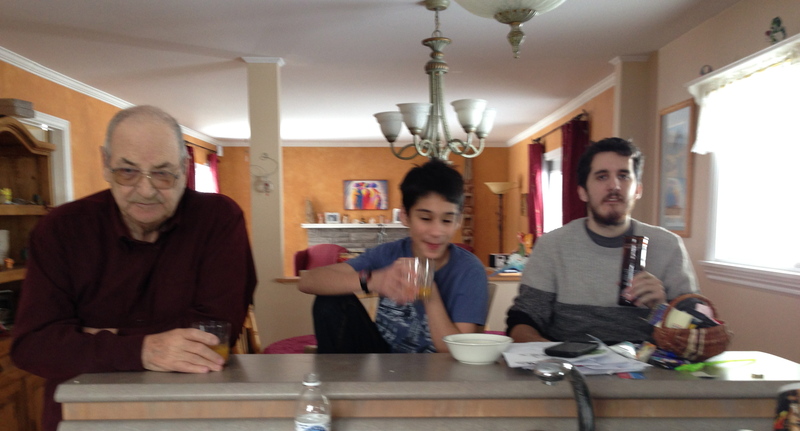 Met my biological family when I was 16! It seems we have a lot of ground to cover in our conversations.